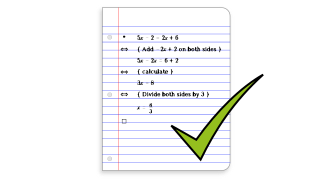 Get acquainted with your own personal digital math tutor. 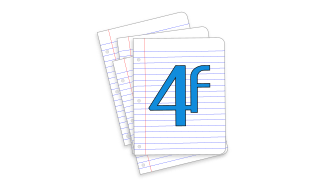 4f Checker goes through your math solution step-by-step and checks the correctness of each step. 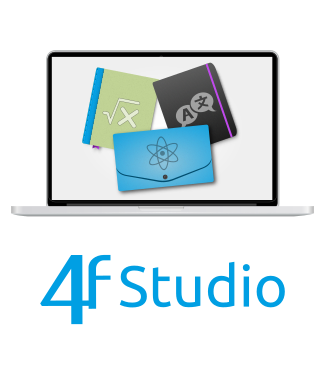 4ferries is founded by teachers and researchers in STEM subjects, with the mission to improve math education. We provide you with efficient digital tools for learning and teaching mathematics and other STEM subjects. We believe strongly that students need to understand and trust the basic rules of mathematical reasoning. Even if more and more calculations become automated in the future, the need for understanding the reasoning behind these calculations will never disappear. Also, we know that math is interesting and engaging, as long as we understand it. When we don’t, we need help. But the feedback loop in today’s math education is broken: students work on their math problems, but don’t get proper feedback on their own solutions. Rather, they are shown model solutions in class, and are supposed to spot the errors in their own solutions from these. Some can do this, but many will fail and keep repeating the same errors in subsequent homework, until they drop out because they just don’t get it. Teachers could help, but there is no time to give individual feedback and tutoring to all students in the class. Our tools are designed to fix that broken feedback loop and keep that love for math alive that all first graders show, all through life. Our teaching method improves the way mathematical arguments are explained, so that it is easier to see the structure of the argument and understand the reasoning involved. We provide efficient editors for creating mathematical content, a learning environment specially tailored for STEM education with rapid individual feedback to students, high school textbooks based on our teaching method, and computer based step-by-step checking of the correctness of the student’s own solution.